The Territorial Enterprise's composing room, Virginia City circa 1900. The trade union movement in the west was born in Virginia City in the days of the Comstock Lode during the Civil War. BARBWIRE: Would you vote for a Right-to-Tax law? How about a Right-to-Work law? The gold and silver rush also gave birth to the oldest continually operating labor organization in Nevada, the Washoe Typographical Union, now part of Communications Workers of America Local 9413, which counts the editor of this site among its members. The original 1863 charter was destroyed by the Great Virginia City Fire of 1875 and replaced in 1876. CWA 9413 proudly maintains that charter and the venerable union's individual identity. Click here to view a photo of the 1876 charter. NevadaLabor.com proudly follows in the deep tracks of printers ink left by the likes of Sam Clemens, Dan deQuille, Lucius Beebe, Charles Clegg and their fellow immortals of the Territorial Enterprise and her illustrious sisters such as the Gold Hill News. Their direct descendants work in the state printing plant in Carson City. Nevada law still mandates that the Silver State's printery must be a union shop signatory with the Washoe Typographical Union. 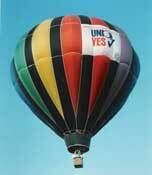 All submissions to the Nevada Labor History pages will be welcome, but only the best will be published. Photos, illustrations, publications, memories and diaries are all important. Material submitted digitally will enjoy an edge, but careful research and well-crafted writing will always prevail. I've added a link to the North West Labour History Group. "The Industrial Revolution transformed first Lancashire, then Britain and then the world," they state. Just as their area gave birth to the movement, Nevada spawned trade unionism throughout the American wild, wild west. In that respect, we share history. The rich story of labor in Nevada has been all but neglected and we intend to change that. We've already got a couple of contributions by noted Nevada historians Phil Earl and Guy Rocha, so let's get at it. As usual, if you don't do the work, it just won't get done. WIKIPEDIA/LABOR LAW: A detailed primer on union busting, liberally quoting late Las Vegan Martin Jay Levitt, a former union buster who made up for his sins. The newspaper was formerly the Las Vegas Free Press, owned by the International Typographical Union which long since merged with the Communications Workers of America/AFL-CIO. Reno and Las Vegas publications stayed unionized into the 1970's and early 1980's, but no union shops remain in the hotbed of union activity which is the Nevada of today. What was once may someday come again. Includes selected historical excerpts from Poor Denny's Almanac beginning with the 8-11-2004 installment. The artists of preservation - Back row, left to right, John Loughan with his arm around his sister; James Ayers, Nathan Sabin, Sandra MacDonald, Jack Carson, Terry Patterson and Juan Velez. Kneeling, left to right, Gwen Sicuro and Journeyman Mo Hursh. Not pictured: Journeymen Marty McGuire and John Glenn; apprentices Cain Passi and Erin Duhr. 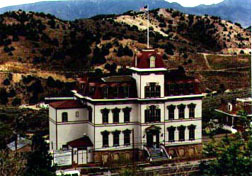 Virginia City's Fourth Ward School gets a facelift - Apprentices and journeymen from Painters and Allied Trades Local 567 renovated Virginia City's historic Fourth Ward School in the fall of 1997. 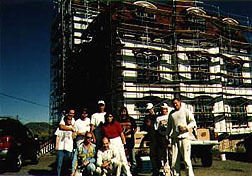 Union members also performed the work the previous time the building was painted in 1986. "We are once again pleased and proud that our apprentices have the opportunity to begin their careers on such an important project," Local 567 business manager Todd Koch said when the work began. "Many of those who worked on the Fourth Ward School 11 years ago are still practicing their trade in northern Nevada," he added. About 15 journeymen and apprentices participated in the project over four weekends. The south and east faces of the site had been subjected to extensive weathering over the years. Labor and materials totaling $40,000 were donated by the union and various suppliers. Fuller Color Center donated the paint with additional safety equipment and painting supplies coming from Lindell's Painting Service. Both companies are Reno-based. Brand Scaffold Rental and Erection of Concord, Calif., partially donated scaffolding, safety harnesses and related supplies. Remaining costs were covered by the Nevada Commission on Cultural Affairs and the National Parks Grant Program. This phase was part of a $135,000 exterior restoration program.